The rate at which the Innovation is taking place in the world is tremendous. Some company introduces a new technology today, people begin to adopt it, someone introduces another new technology the second day and the earlier one goes obsolete. The advancement in science and technology is responsible for all these things & of course the Internet. One such recent innovation has caught up my attention recently. Yes you are right, thats Google's Chrome OS. So here I have enlisted about 5 features that I really liked about Chrome OS, but these features are not just about Chrome OS, but any Cloud based Operating System. 1. 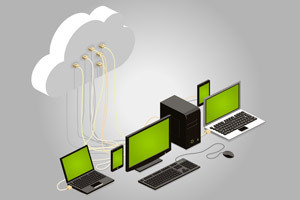 The Concept of Cloud Computing: Cloud computing, like Internet, will prove to be a boon to mankind. Though it has not come up with its full run as yet, but it will help mankind to soon as we start living the fully connected world. The concept is really great. I have all my data on an unknown server, at an unknown place, I dont bother about it. I can access the same data from any of my devices. All I have to do to get the data back is just query the service, thats it. My laptop is stolen, no more worries, nothing. With Cloud, I dont have to bother about the threat to my data. Upgrades are done automatically, so no worries about outdated software. Even from small things like preferences, settings, passwords and my favorite Apps everything resides in the cloud. I just DONT HAVE TO BOTHER. And common, dont talk to me about security, recently CCAvenue was hacked, Gmail accidently deleted 150K user email accounts, Sony's blog hacked. You can take measures, try to avoid it from happening. But theres nothing that cannot be compromised. I have been a guy who carried out experiments since childhood. I hardly used to like things the way they were, so I used to change them to fit my needs. With Chrome OS I have full FREEDOM to remove it, to change it. 2. 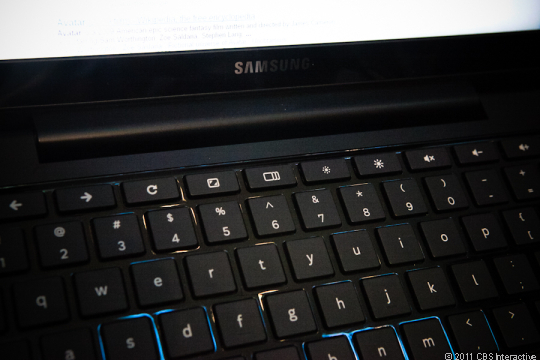 Chrome Web Store: Already before launch of Chrome OS and Samsung's Chrome Book there were more than 4000 applications on the Chrome Web Store. Its easy to download, install and use the applications. Once I install them I dont have to bother reinstalling them for life long even if I change the computer or reinstall my Operating System. All that I have to do is just sync the applications onto the cloud. Thats it. 3. 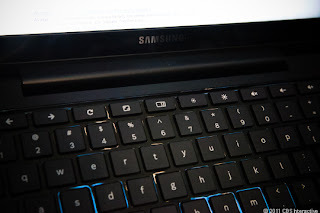 Chrome Book keyboard: The Chrome book has been launched at Google IO and there are many controversies about it. Chrome Book really seems to be light weight and the keyboard is fully web based. It does not have those old function keys F1 through F12, but pretty useful keys like refresh, forward, back, full screen and tab switch. 4. The Search Button: Many a times I have seen myself take pain to open up a new tab and search for something that I need. 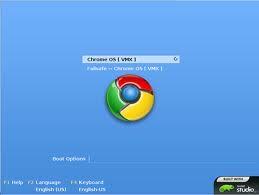 But you dont have to do this with Chrome Book, just press the 'search' button shown in the picture. It opens a new tab and places the cursor in the address bar. Pretty simple. 5. Size of Chrome Book: The Chrome Book is pretty slim and it enables users, students, business-men to carry it easily and move wherever wanted. The adjacent picture shows the thickness of it as compared to human hand. 1) so how many times you use computer without being connected to internet? 2) How many times you really do anything other than coding? 3) How many people in this world have 24x7 access to internet? 4) My ThinkPad has better keyboard than this. 5) I can tune functional keys for my betterment, I dont want someone else to tie them to some random functions. 6) Did you saw iPad2? or MacBook air? 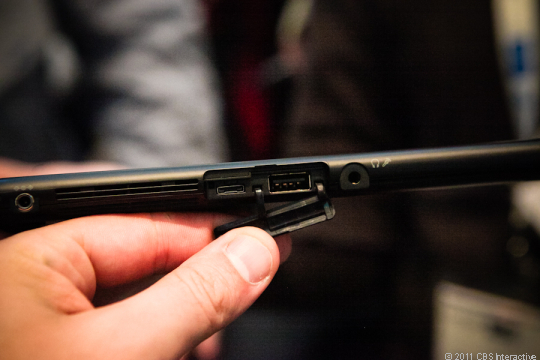 They are way thinner than Chrome book. Your criticism might be or might not be right at this moment of time. Like they say, 'Rome was not built in a day', this innovation will take time to flourish. Goto Jimmy Wales,the founder of Wikipedia, and ask him what was people's reaction when he used to talk to them about an Idea of online encyclopedia, which could be edited by anyone. He will tell u something like what u said above.